39 year old Shawn Robert McMenamin, of Livingston, drove his 2012 Hyundai Elantra into a field off of FM-942 East. Intoxicated Driver Crashes Into Field, LEGGETT, May 30, 2018 - Shortly before 9 pm on May 30, 2018 a silver 2012 Hyundai Elantra, driven by Shawn Robert McMenamin, 39, of Livingston, was west-bound on FM-942 East (about 8 miles from US-59), when his vehicle left the pavement to the left, and proceeded into a field. Allegiance Ambulance Service was dispatched to the scene along with Lieutenant Mark Jones with the Polk County Sheriff's Office and Trooper Colton McQuilkin with the Texas Highway Patrol. McMenamin was transported by ambulance to CHI Livingston Memorial Hospital as a precautionary measure. Trooper McQuilkin spoke with McMenamin. McMenamin admitted that he crashed because of alcohol. When McQuilkin investigated the scene he found many beer cans and unopened beer (all still cold) within a few feet of the car that McMenamin had apparently thrown in the weeds. McMenamin is facing the charge of driving while intoxicated and may be charged with tampering with evidence (for apparently trying to hide the evidence in the weeds). A rollback wrecker from Ken's Towing recovered McMenamin's vehicle and will be stored at Harrison Body Shop in Livingston. McMenamin was transported by ambulance to CHI Livingston Memorial Hospital as a precautionary measure. 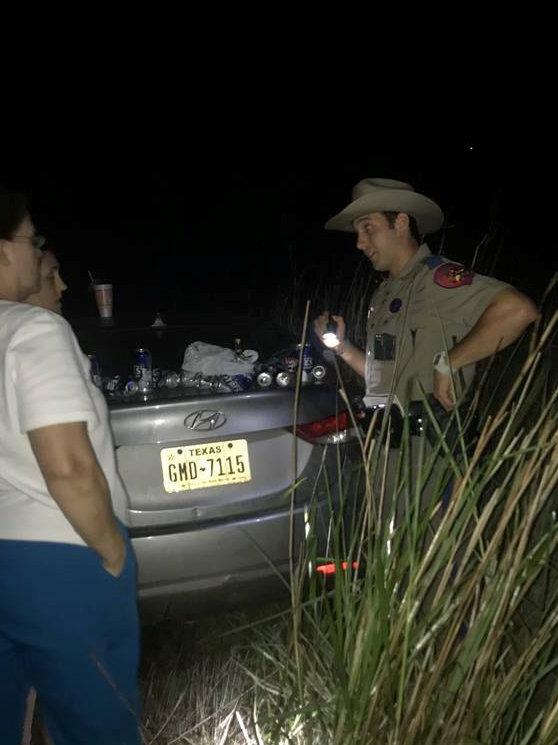 Trooper Colton McQuilkin found a surplus of cold beer and empty beer cans in the weeds just a few feet of McMenamin's vehicle. There was also cold empty wine bottles. McQuilkin speaks with McMenamin's wife who showed up on the scene.